To welcome the new season, I always like to host a small get together. I invite over a few friends to celebrate the beginning of Spring. For me, it's one of the most exciting seasons because it means it's time to have some outdoor fun. The flowers start to bloom and throughout the streets and everything is full of color. Without a doubt it's a fascinating time which is why we should give it the welcome it deserves. For me, spring is all about brilliant colors and lots and lots of flowers! I like to have my home full of flowers and for this event it's no different. The flowers were definitely the most important part. 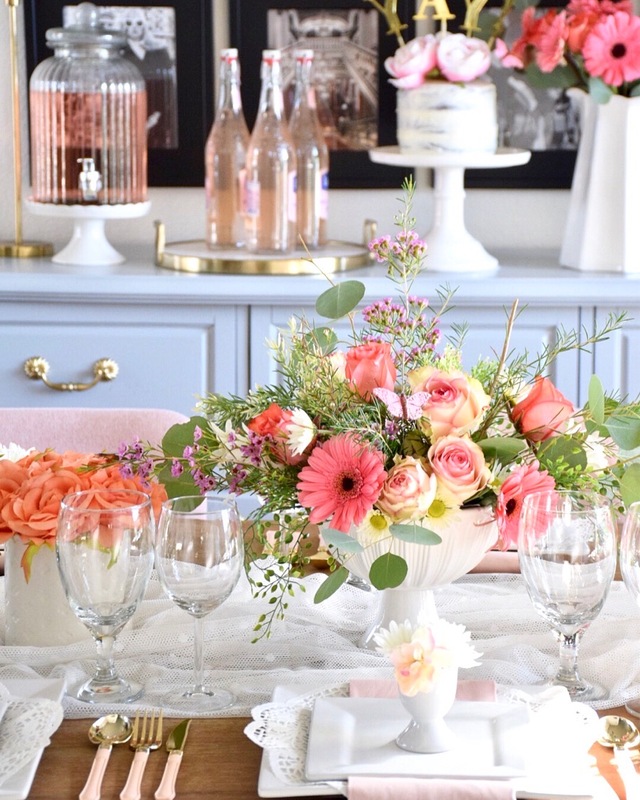 The touches of blush are gorgeous...both warm and sophisticated! I love your style. As a retiree on a limited income, I would like to update my liñens: dish towels, bath towels, etc. When you are old, it seems that everything you have is outdated. It looks amazing. I always love to keep my house updated. Currenlty I am doing home additions San Jose. I found about these professionals from this website. Once I am done with the renovation, I will decorate my house in such a beautiful way.